I want to start my automata blog with a Rowland Emett video post. His kinetic artworks take me to a fantasy world; the other side of the mirror. Flying pans, windy spoons, sliding dishes, turning bicycle wheels, toy passengers… I happened to learn about him last summer. I run into this video below while I was browsing about automata and I got totally fashinated by the art he created. 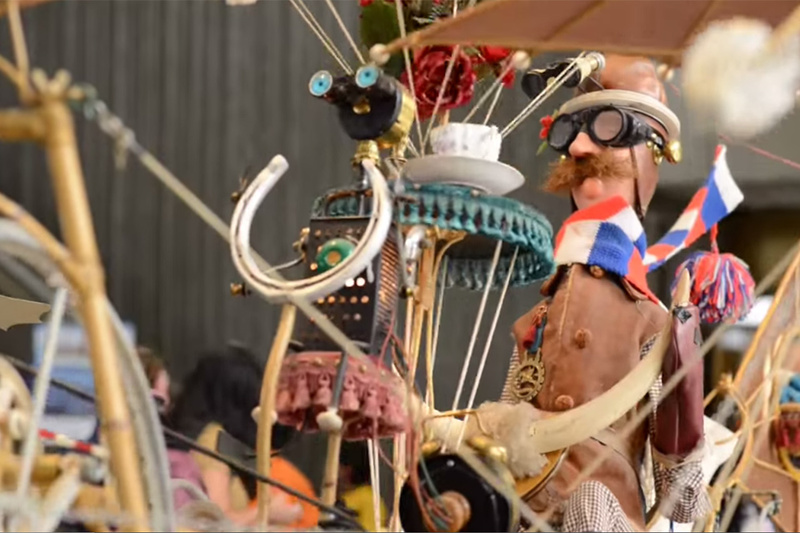 This video was made by David Sweeney using a serious of clips he shot during Rowland Emett machines exhibition in The Ontario Science Centre in 2012. Rowland Emett was an English cartoonist and constructor of whimsical kinetic sculpture as it is described in this wikipedia page. For further information this is the homepage for The Rowland Emett Society Society..